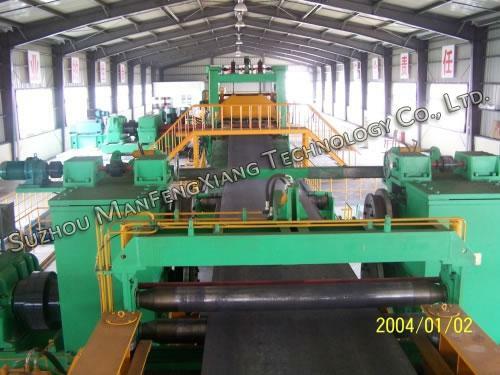 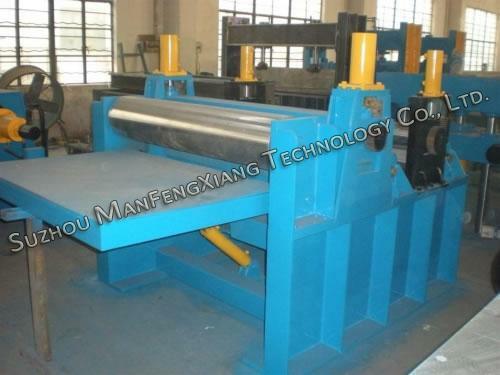 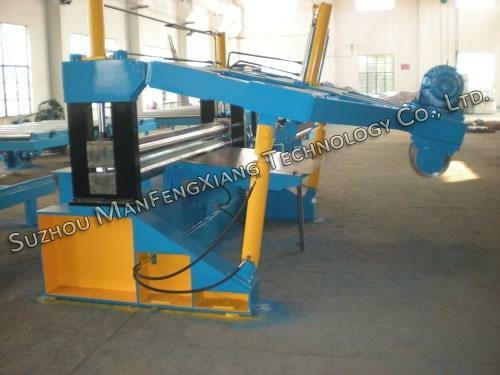 Slitting cut-to-length machine line is a combination of slitting line and CTL line. 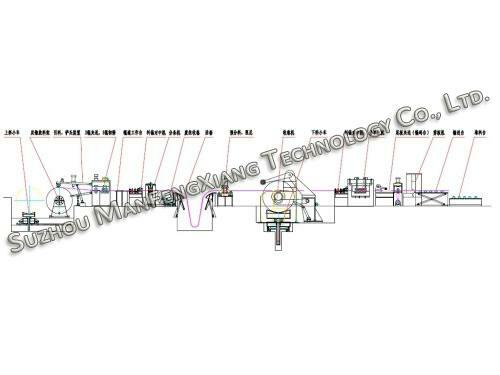 It is made up of 1 DC cabinet, 1 main operation cabinet, 2 accessory cabinets and PLC controlling system. 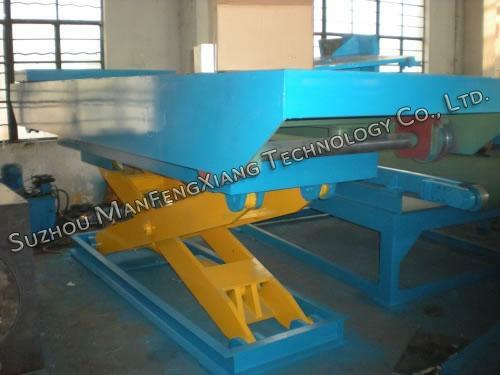 It achieves interactive dialogue by means of touch screen. 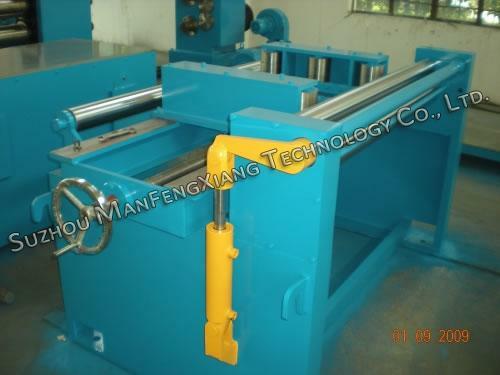 All of the 3 operation cabinets have the emergency stop button to protect the workers and equipment. 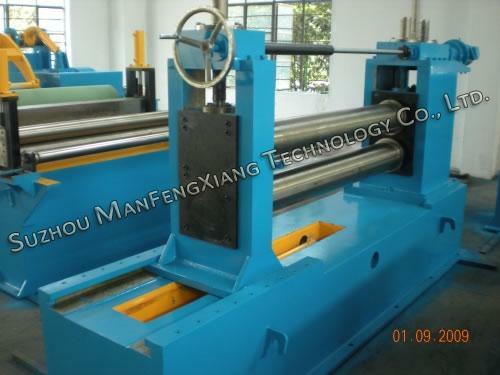 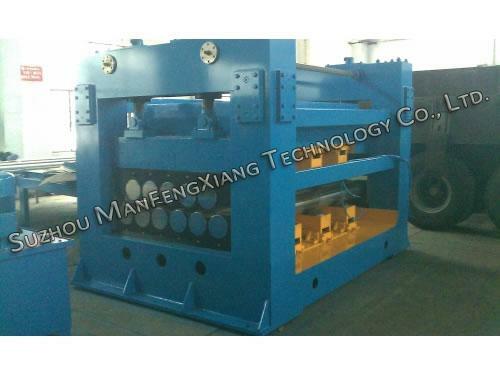 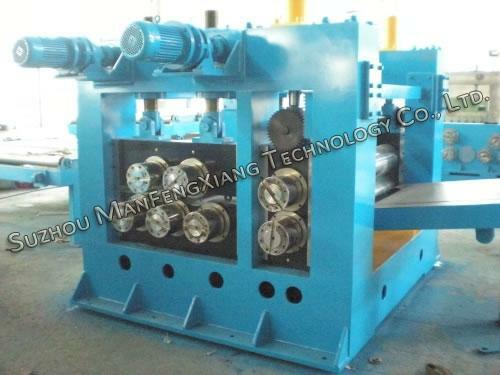 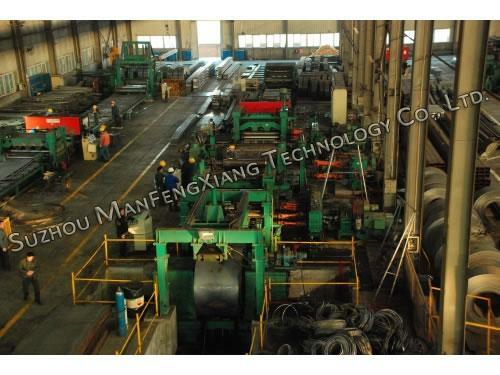 Slitting cut-to-length machine line is composed of V-shaped coil platform, hydraulic coil car, hydraulic (tapered form) de-coiler, hydraulic guiding and pressing and shovel head unit, pin rolls feeding and first leveling unit, over-bridge table, guiding organ, leveling machine, slitting machine, side scrap recoiling machine, encoding length organ, hydraulic shearing machine, pinch rolls organ, hydraulic system and electrical cabinet control system, sheet dropping organ and sheet auto-stacker table.